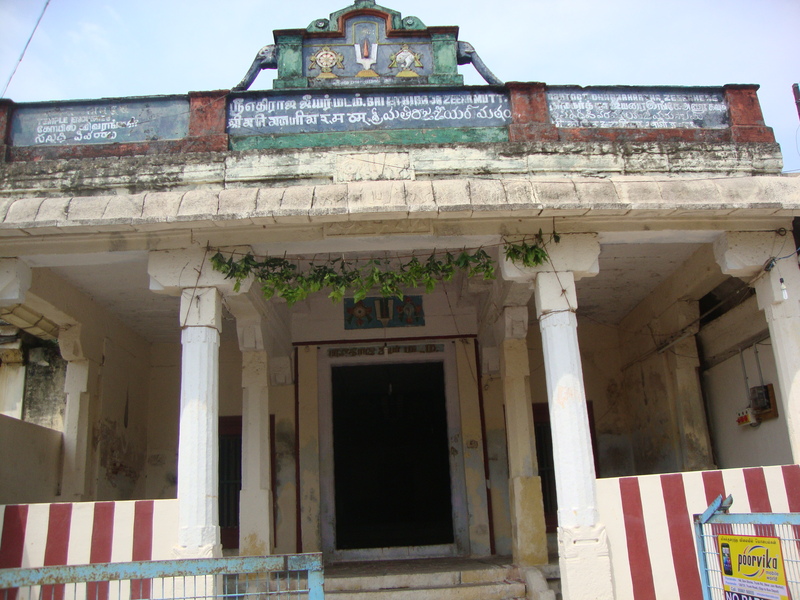 yathirAja jIyar mutt, srIperumbUthUr (avathAra sthalam of emperumAnAr) was established by Adhi (first) yathirAja jIyar. This yathirAja jIyar mutt is very unique in the sense that, this is one of the very few mutts established in AzhwAr/AchArya avathAra sthalams for performing kainkaryams at the temple and over-seeing kainkaryams that are done in the temple. emperumAn and emperumAnAr visit this mutt quite often through out the year. From his thanian we can understand that he had wonderful relationship with mAmunigaL and other AchAryas such as ponnadikkAl (vAnamAmalai) jIyar, koil kanthAdai aNNan and dhoddAchAryar. yathirAja jIyar studied under the lotus feet of these many great AchAryas. From his vAzhi thirunAmam we can understand that he had great attachment towards emperumAnAr. 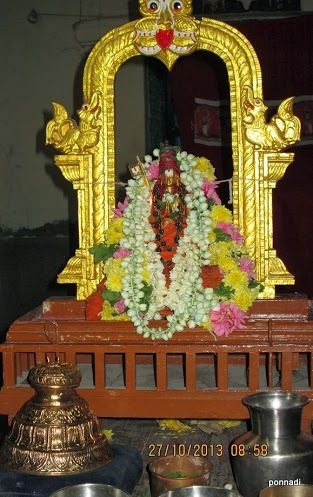 His vAzhi thirunAmam also closely resembles mAmunigaL‘s vAzhi thirunAmam. In yathIndhra pravaNa prabhAvam, it is said that, per the orders of paramasvAmy (thirumAlirunchOlai kaLLazhagar), mAmunigaL sent one of his confidential kainkaryaparars named yathirAja jIyar to reform and set up the thirumAlirunchOlai temple. While some consider this yathirAja jIyar as the srIperumbUthUr Adhi yathirAja jIyar, others consider that he is a different jIyar who goes on to become the first jIyar of thirumAlirunchOlai jIyar mutt.To learn further about this, one can inquire about this from learned scholars. Thus, we have seen some glimpses of the glorious life of srIperumbUthUr Adhi yathirAja jIyar. Let us pray at his lotus feet that we too get bhagavath/bhAgavatha/AchArya kainkaryam. This entry was posted in other AchAryas on October 27, 2013 by sarathyt. Swami, thanks to this article, adiyEn read this great thaniyan today. Dhanyosmi Swami.